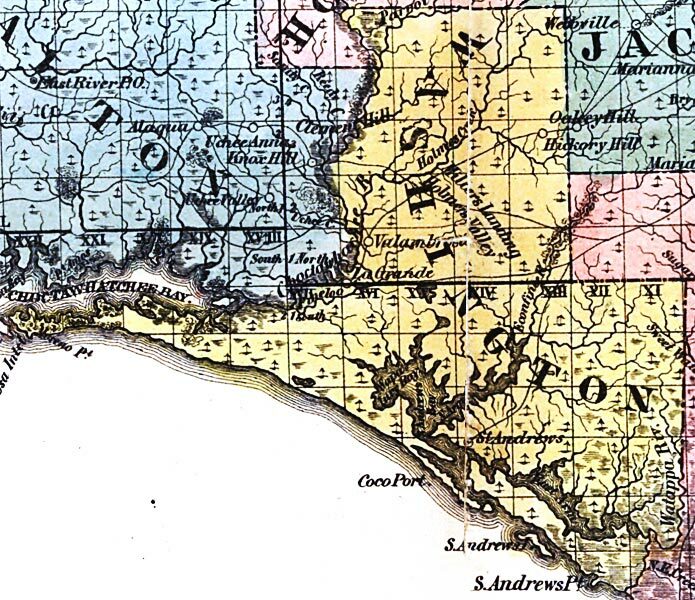 Description: This detail of a map from the annual report of the Surveyor General in 1856 shows Washington County. Drainage, cities and towns, roads, trails, and location of railroad lines are shown in great detail. The major water features of the area are Holmes Creek and Watappa River. Other points of interest include Holmes Valley and Saint Andrews Point.